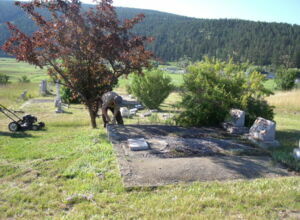 Although the Cemetery was closed in 1973, families with reserved sites are able to be interred there today. 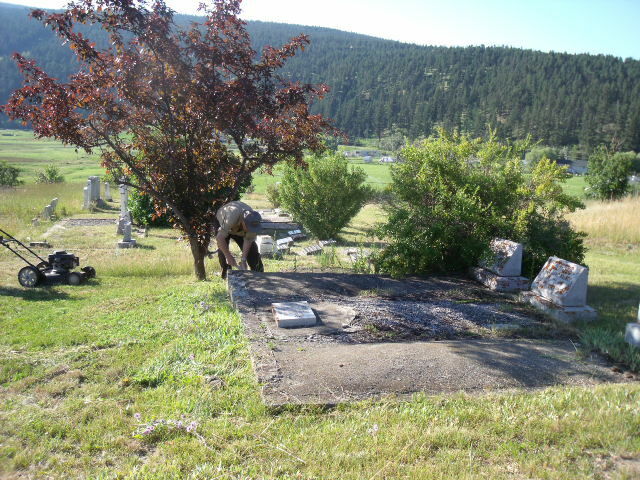 In 2015 The Village of Clinton completed the transfer of title and maintains and administers the cemetery. The Village is working with the Clinton and District Historical Society to develop a walking trail guide through the cemetery to share the history that is at rest at this peaceful knoll. 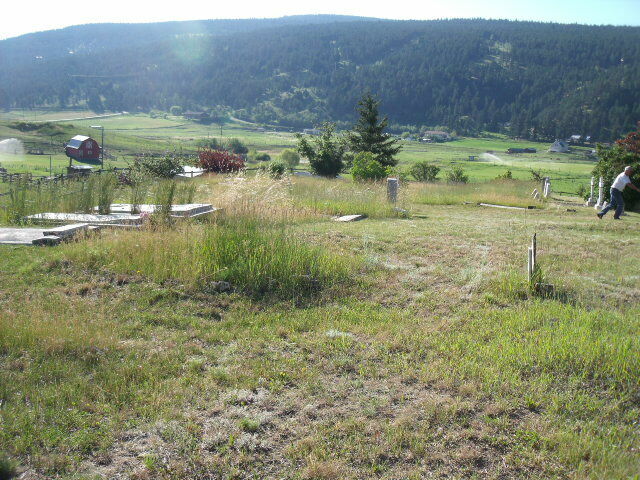 Clinton Pioneer Cemetery Click on this Youtube link to see the Pioneer Cemetery. 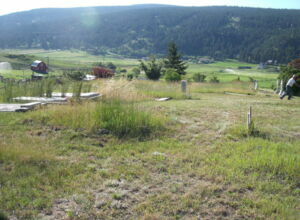 This prominent grassy knoll was donated for the use of a cemetery by the Smith family (owners of the Clinton Hotel). 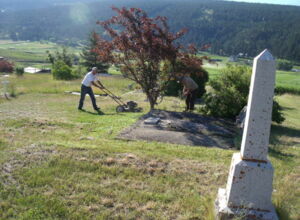 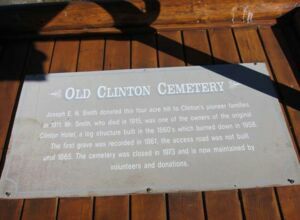 The first burial took place in 1861, and is dedicated to the Pioneers of the Clinton area. 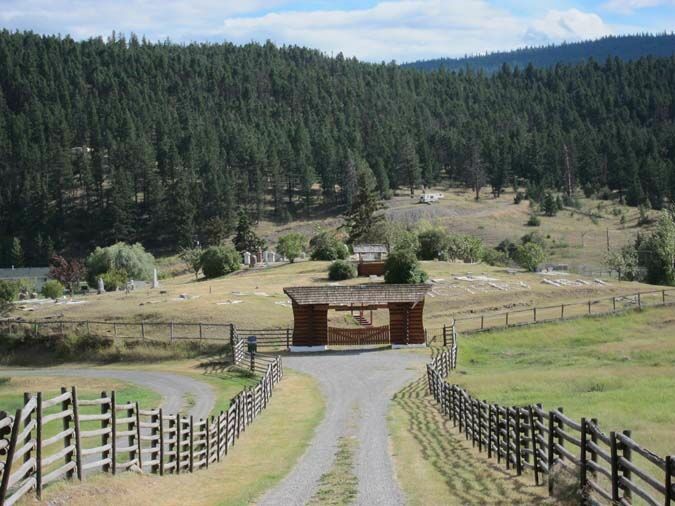 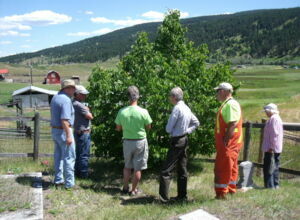 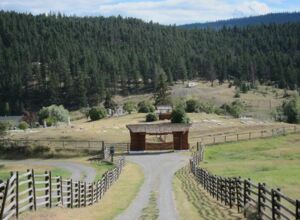 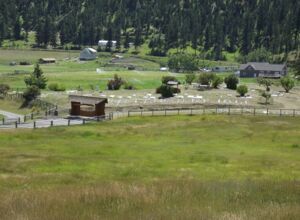 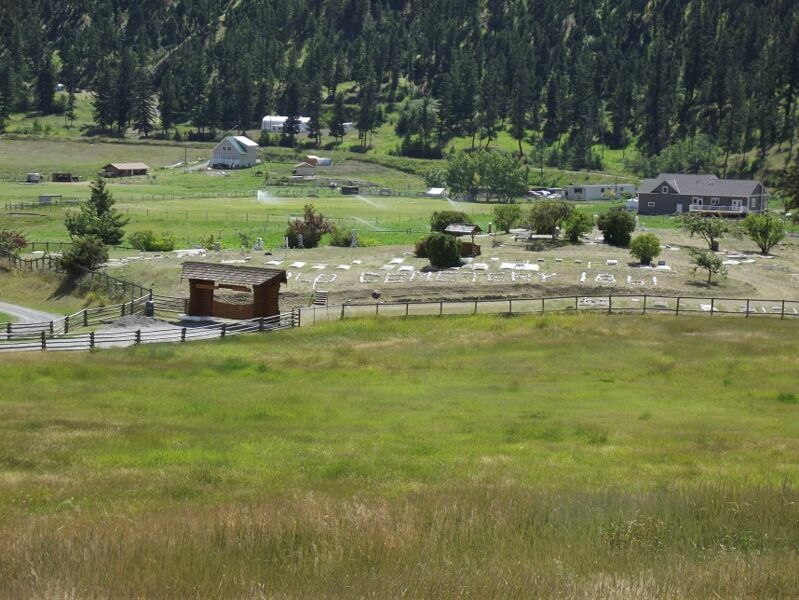 This cemetery is located off Highway 97 at the north end of Clinton. The Pioneer Cemetery located at the North end of Clinton recorded its first grave in 1861. The four acre grassy knoll was donated to Clinton's pioneer families in 1911 by one of the owners of the original Clinton Hotel, Joseph Smith. 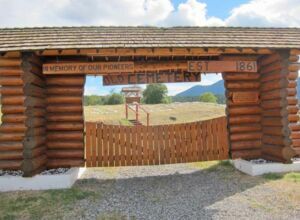 Joseph and his wife Mary are buried at the cemetery in plots # 265 & 266.